I often remember my own childhood weekends and think how on earth did my mum manage? Every Sunday would start with a cooked breakfast, followed by a homemade Sunday lunch and then a proper Sunday tea featuring pies, cakes and treats. I also think where did we put it all?? That's a lot of food for one day. 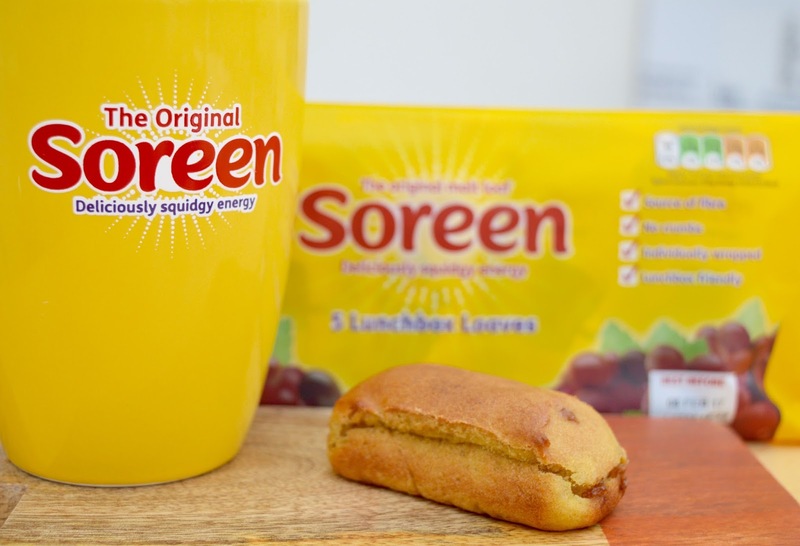 One thing that always makes me feel nostalgic is remembering the loaf of Soreen that would always form part of our Sunday tea. Back in those days we used to cut it into thick slices and cover it in butter. Every time I eat Soreen now I am transported back to Sunday teas from my childhood and filled with nostalgic feelings and memories. It's weird how one single bite can do this. Fast forward to 2017 and Soreen still forms part of our life but in a very different way. We were reintroduced to Soreen at the Just So Festival in the Summer of 2016. 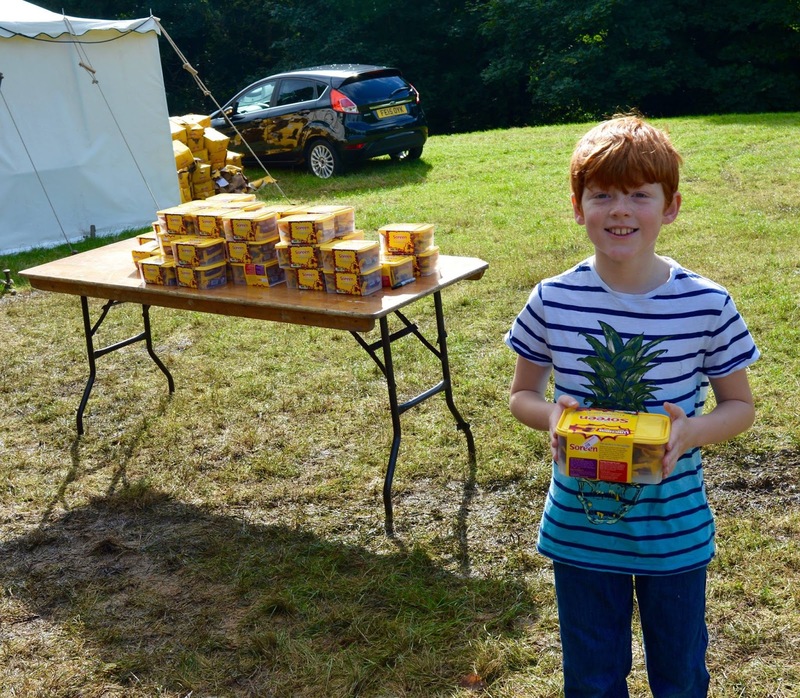 I think Soreen were sponsoring part of the event as they were giving away hundeds of boxes to the happy campers. We were on a strict budget and the kids were excited at the prospect of 'free' food. 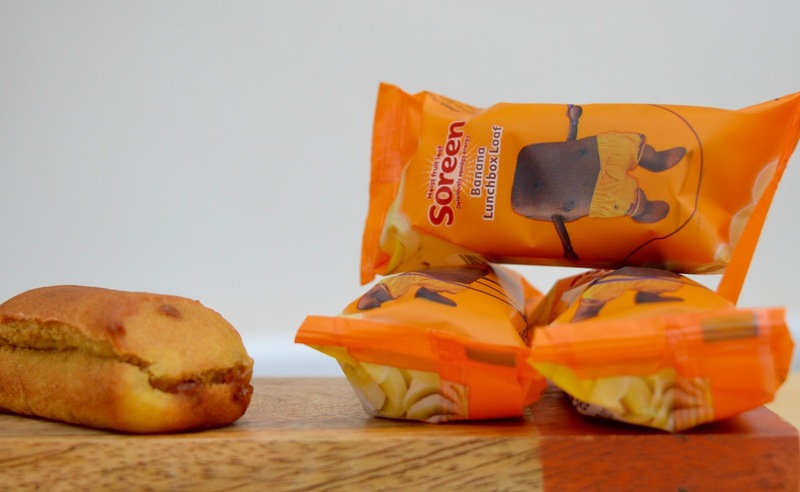 These Soreen bars were individually wrapped and because they didn't need refrigerating were perfect for us to just pop into our rucksack and give to the kids when they needed a pick-me-up or were watching a performance at the festival. It's fair to say that since that weekend, Harry especially has had a real thing for Soreen and I love that my special memories have been re-created for him. 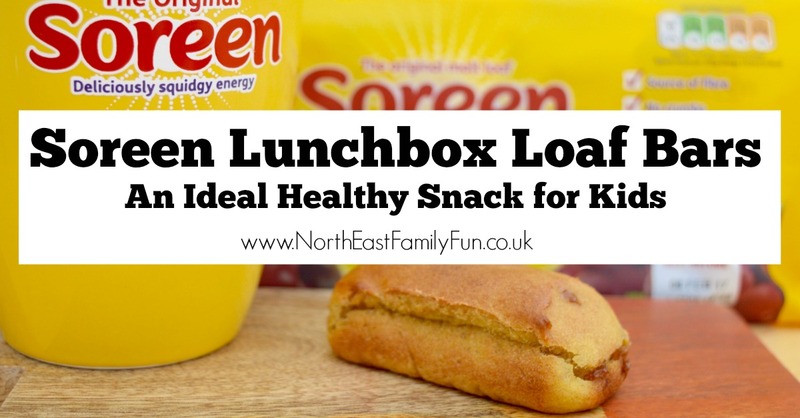 Soreen lunchbox loaves are individually wrapped and super easy to pop into a lunch box or carry with you for a snack during a day out. Each loaf only contains 95 calories and just 0.3g of saturated fat. Soreen meets the Government Nutritional Standard for Schools and supports Change 4 Life. Harry feels like he's eating cake so it's like a treat (but a lot healthier than traditional cake) and I don't feel guilty or have to worry about adding a mini loaf to his lunchbox. There are no crumbs! I hate it when the kids eat cake and get crumbs all over or I open their lunchbox on an evening for it to be filled with crumbs - gross! With Soreen, you just don't get this. You can freeze Soreen - this was so useful when we headed home from the Just So festival with boxes of the stuff. You can freeze Soreen for up to 3 months. They are the ideal snack for grown ups too - I've been enjoying a bar at my desk for elevenses every day this week. A snack that is low in saturated fat and doesn't get crumbs all over my keyboard gets the thumbs up from me and Soreen goes surprisingly well with coffee. It's fair to say, I've been a popular lady this week and suddenly everyone wants to be my friend! After a bit of research, I found that Soreen loaves are not just popular with my own friends but 9/10 Mums recommend the miniature loaves as a healthy snack alternative for all ages (Mum Panel). High praise indeed. Soreen individual loaves are available in banana flavour or original, I am not a fan of anything that's flavoured with banana and think it would be fantastic to see more flavours - I am thinking honey or winter berry? Although a good source of fibre and low in saturated fat, Soreen do not count as one of your 5-a-day. Compared with a biscuit, I've always found Soreen to have a shorter shelf life. 1 - Answer these 3 questions for your chance to win a year's supply of Soreen and a Soreen goody box. Competition closes midnight 27th February 2017. Let me know if you add a miniature Soreen loaf to your children's lunchbox. I have been paid by Soreen to produce this post - all thoughts and love of Soreen are my own. My kids each take one of these for snack time at school it's so easy on a morning they just grab their own!